Steve Teilhet is a senior research engineer at Synopsys. He is an author, speaker, and security researcher. Steve has been working in the security field for the last 14 years, primarily in application security. He uses his knowledge for developing both static and dynamic analysis security tools as well as helping others secure their applications’ code. 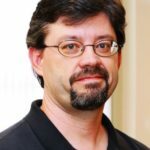 His research spans many areas of application security including client-side, mobile, and server-side. While AppSec keeps him busy, Steve has also written several books. His latest, “C# 6.0 Cookbook,” was published last year through O’Reilly Media Inc.
Posted in Developer Enablement | Comments Off on AngularJS is secure by default, right? Not so fast.